The most coveted enterprise customer summit and award ceremony, the 17th edition of this year's Infotech Forum 2019 recognized the Eminent CIOs of India, Top 25 Most Trusted Companies and 50 Most admired brands in India. The entire event was focused on Cyber security and cyber intelligence in the Indian Fintech Industry. The unveiling of the 8th edition of the Brand Book and live showcase on AI, IoT, ML, DL, Cyber security and Modern DC by tech companies made the event more interactive with the presence of 200 CXOs from various vertices at Hotel Shangri-la, New Delhi. Digital transformation is about making sure that your business is ready and able to tap into what the digital world has to offer. Organizations are at different places in the digital transformation journey, of course. But speed has become a business imperative for all. IT leaders( CIO/CTO) face pressure to show that digital initiatives continue to translate to increased agility and speed for the entire organization.
. P.P.Chaudhury, Minister of State of IT, Law & Justice, GoI . S S SHARMA, CGM –IT, JK Tyre & Ind. Ltd.
. Virender Pal, CTO, Siicejet Ltd.
. Chnadan Sinha, CIO-Ghcl Ltd.
. Puneet Kaur Kohli, Group Executive VP-IT & Head Technologies, BAJAJ Capital Ltd.
. Anshu Tyagi, AGM-IT, TOKIO General Insurance Co. Ltd.
- XYZ presents VARINDIA IT Forum – 2019 in the Presenting Partner category. 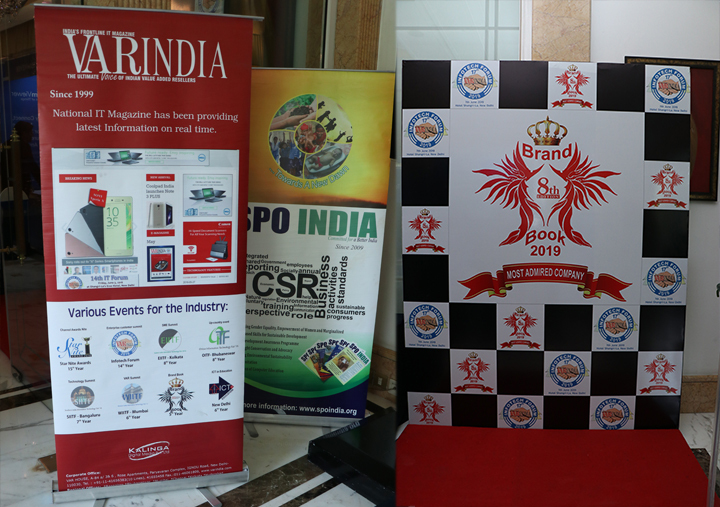 - Branding in all print and online edition of VARINDIA and allied publications. - Pre- and post-event publicity. - Product display (2 x2 Sq. mt.) in the lobby at the Premium position of choice of the sponsoring partner. - All POP material in On-line advtg. will carry the logo of the Presenting Partner. - Distribution of POP in the event. - Interview in the VAR-TV. - 15 minutes’ presentation and part of the pre- specified panel discussion session. - Corporate film to run in the event. - XYZ presents VARINDIA IT Forum – 2019 in the Principal Partner category. - All POP material in On-line advtg. will carry the logo of the Principal Partner. - 15 minutes presentation and Part of the Tech talk session. choice of the sponsoring partner. - All POP material in On-line advtg. will carry the logo of the Gold Partner.